We’ve officially entered fall, and with the turning of the season comes a drastically reduced need for your air conditioner. That makes now an excellent time to schedule a servicing session for your air conditioner before you set it aside until next season. Doing so now will help your system be ready to go by the time you need it in the spring. Savings. By correcting little problems in the system, you can help improve its efficiency, ensuring that it won’t use as much energy as it might if those issues hadn’t been addressed. That can result in improved monthly savings next summer, as well as a reduced risk of breakdowns or similar repair issues. This is particularly pertinent at the end of a long cooling season, which individual parts have suffered wear and tear from daily AC us. Dealing with them swiftly means ensuring that the system always works at its best. An early jump on repairs. Similarly, by spotting the signs of a repair early, if gives you a chance to address it in the most effective way possible you’ll have all winter to schedule a repair session, and since you’ve caught the issue before you start using the system next spring, you’ve prevented the damage from spreading. That will likely lower the cost of the repair job significantly, as well as preventing you from having to rush in the face of an unexpected breakdown. A longer life. When applied regularly, over time, servicing sessions can pay big dividends during the later part of your system’s life. That means that repair calls will come less frequently and often tend to be less expensive when they do occur. Even more, regular servicing can extend the whole life of the system by months or even years: ensuring that you get the most out of a very expensive investment into your home. 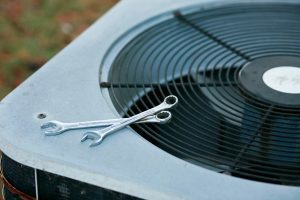 Ideally, you should schedule maintenance at the beginning and the end of the cooling season, but no less often than once every year. If it’s been 12 months or more since your last AC maintenance, then now is the time to schedule a session. 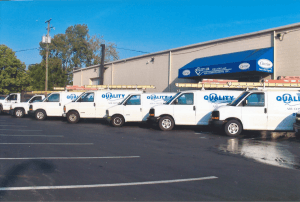 Here in Columbus, OH, quality AC servicing can be performed by the friendly professionals at Quality Air Heating and Air Conditioning. Contact our team today and let us set up a session for you!